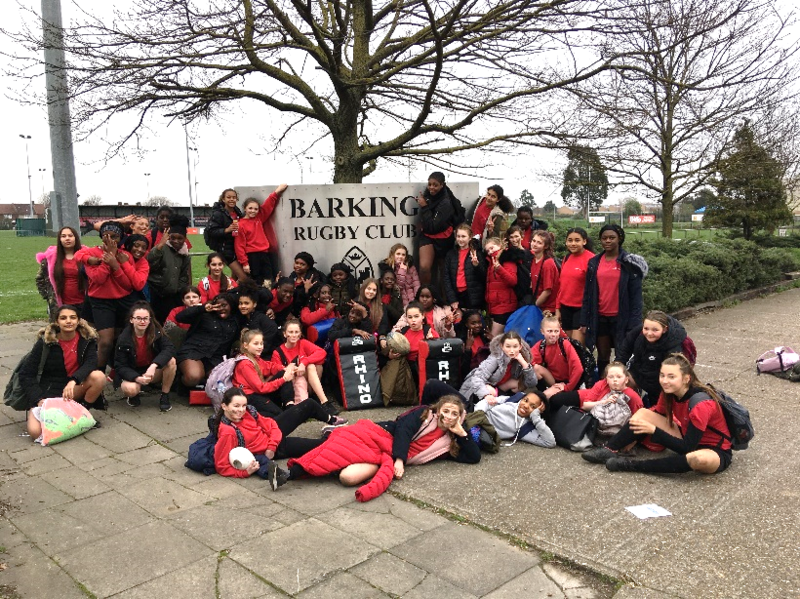 LSE Women’s Rugby Club hosted a Girls Rugby Development Festival at Barking RFC on Friday 22nd March. We have previously attended these events however I was astounded by the positive response from the girls, who embraced the opportunity and 42 Year 7 and 8 girls attended the event. The morning sessions involved drills practising passing, tackling and kicking as well as a brief intro to rugby rules. In the afternoon the girls competed against the four other schools in non-contact matches and it was great to see four JRCS girls teams in action! The LSE students closed the day with a Q&A session about Higher Education and university life which the girls found interesting and a guest speaker from Saracens Women’s Rugby Club talked about increasing participation of girls rugby. Thank you to Keith the Rugby Coach for inspiring so many students to attend and Mr Kersey who supported the event. Well done to all the students involved and we hope to see many of you at extra-curricular rugby on Tuesday after school.